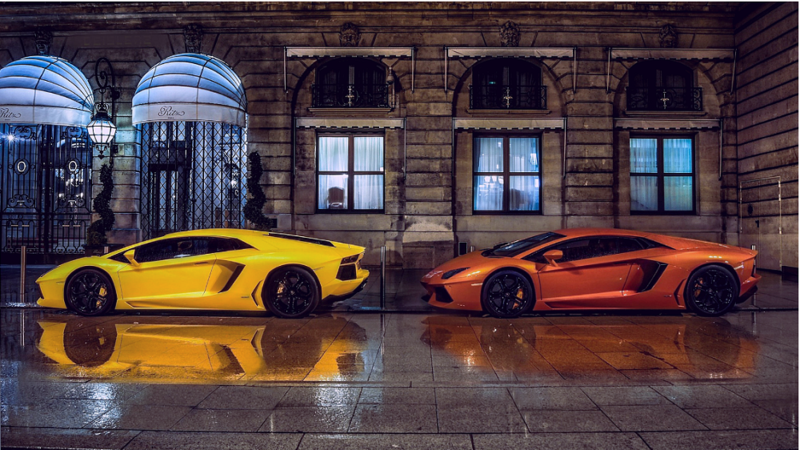 Luxury car hire service, Driverso, offers instant online booking for the largest collection of luxury cars in Europe. Formerly named Vroomerz, Europe’s most varied luxury car fleet has rebranded, expanding to include over 400 new models from 20 suppliers. Over 500 customers from 40 countries have booked a luxury car online with Driverso in the past year, each one personally delivered to their chosen location. Priding itself on the highest standards of qualified, luxury cars and personalised customer service, Driverso creates an unparalleled car hire experience from start to finish, helping to shape memorable drives for every journey. “Driverso guarentees the highest quality car hire experience and has gone above and beyond to meet my requirements. From providing a personalised VIP service to flexibile pick-up and drop-off locations, they’ve made my trips as seamless as possible. Driverso is also the only car hire service I’ve used which provide the exact same car as reserved on the website,” said Mr. Avishay Ben Haim, a Driverso customer from 2018. Whether cruising the High Alpine Road in Austria in a Lamborghini Huracan, circling the Amalfi Coast in an AMG Roadster, traversing the Swiss Alps with a Range Rover Evoque or exploring Rome in a Jaguar F-Type, Driverso customers can choose from a range of cars across the UK, Italy, France, Spain, Portugal, Switzerland, Germany and Austria. Driverso takes any hassle out of booking the luxury car of your needs, with quick and simple booking online, clear pricing and availability, and detailed information and imagery for each car. Customers are guaranteed to receive the exact make and model as selected on the website. “Whereas Vroomerz was all about the car, Driverso emphasises the full experience, exploring a more thrilling side of driving that isn’t often associated with hiring a car. We do more than just provide a car to get you from A to B, we’ll do everything we can to make your hire car – and the drive – are the most memorable part of your trip,” says Pierluigi Galassetti, Managing Director of Driverso. As Europe’s most personalised car hire service, Driverso goes above and beyond to meet customer requirements, including door-to-door delivery and drop-off to any location by friendly, professional drivers. A specialist driver will be waiting at the delivery point of your choice and will be on hand to brief you on the car and answer any questions you have about driving it. “No request is too great – whether it be 100 white roses waiting in the car for a loved one, or tips on the best road trip itinerary, Driverso’s customer service team is available 24/7 to help with any queries and ensure both the car and the service meet the driver’s highest expectations. You’ll be planning your next trip around the drive once you’ve booked a car with Driverso,” continued Galassetti. Founded in March 2017, Driverso is backed by Primerent, a trusted leader in the luxury car hire industry. Driverso plans to expand its fleet to 1,000 cars by June 2019.